We are in innovative learning community inspiring the hearts and minds of all our children. 1. Children thrive in a nurturing and supportive environment. We will honor every child and put the needs of children first in everything we do. 2. To be successful, children need a broad set of skills that includes a core academic foundation, higher-order thinking, and character education. 3. Children learn best when deeply engaged in authentic learning experiences. 4. We serve children with a variety of different learning styles and will help each of them reach her or his full potential. 5. Students, teachers and staff do their best work within a culture of mutual respect, personal responsibility, and kindness. PVSD nurtures each child’s academic, physical, social, and emotional growth by providing a comprehensive curriculum, high quality instruction, and personalized support in a collaborative environment that values diverse perspectives and promotes equity. Located 37 miles south of San Francisco, on the fringe of Silicon Valley, in the oak-scattered hills above Stanford University, the Portola Valley School District (PVSD) serves elementary school age children who reside in the Town of Portola Valley, portions of the Town of Woodside and in unincorporated areas of San Mateo County. Ormondale School serves children in Kindergarten (& Transitional Kindergarten) through 3rd grade and Corte Madera School serves children in 4th through 8th grades. The District is governed by a five person elected Governing Board of Trustees. Mr. Eric Hartwig was appointed Interim Superintendent on October 14, 2015. In January, 2017, Mr. Hartwig agreed to remain as Superintendent through the end of the 2018-19 school year. Ms. Lynette Hovland began as the Principal of Ormondale School on October 6, 2016. Ms. Cynthia Maijala has been the Principal of Corte Madera School since August, 2014. Community support of these schools is consistently strong. 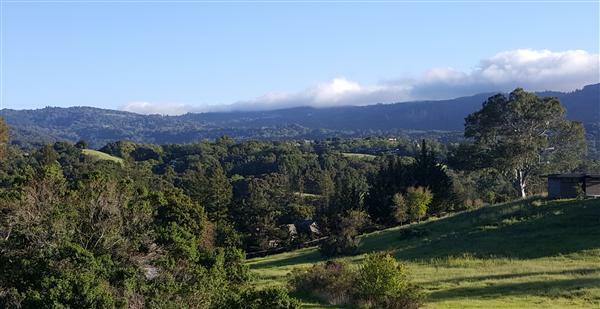 The Portola Valley Schools Foundation provides the District with 10% of its annual operating revenue. District voters passed parcel tax Measure O (2013) which contributes over $1 million annually to support the core academic program. API scores for PVSD students are consistently in the top percentiles for the State of California. For the most recent testing period, the District API was 931, with Ormondale School at 921 and Corte Madera School at 934. Ormondale School is currently recognized as a California Distinguished School (2014), and Corte Madera School was recognized as a California Gold Ribbon School in 2015.